Cigna's profit dropped 10.5% in the fourth quarter of 2016, despite building revenue from membership growth and higher premiums and fees. The Bloomfield, Conn.-based insurer recorded profit of $374 million in the three months ending Dec. 31 compared with the same period last year. The lower results were largely due to higher medical costs from customers enrolled in its Medicaid and individual Affordable Care Act exchange plans. Profit totaled $1.8 billion in 2016, down 11.3% over 2015. Analysts said the results were slightly better than expected. Cigna reported earnings ahead of a federal court decision—expected to come any day now—that will determine whether it can complete its $54 billion deal with insurer Anthem. Earlier this week, Anthem said it was confident a decision would be delivered soon. But most analysts expect the deal, which was challenged by the U.S. Department of Justice for being harmful to competition, will be blocked. Cigna has shown a lukewarm commitment to the tie-up in recent months. This was on display again during a Thursday call with investors to discuss fourth-quarter earnings, when Cigna executives made little mention of the merger. CEO David Cordani avoided questions related to Anthem's decision to extend the merger deadline through April 30, and directed analysts to revisit the Securities and Exchange documents filed previously. After Anthem announced the extension in January, Cigna filed an SEC document stating that it “intends to evaluate its options” once the court rules. Observers saw that as another sign that the deal, initially announced in July 2015, will likely fall through. Like Aetna and Anthem earlier this week, Cigna also showed reluctance to commit to offering plans through the ACA exchanges in 2018. Cordani called the marketplaces “fragile at best” and said Cigna would determine its participation based on rules and regulations closer to spring, when health insurers have to submit premium rates for 2018 plans. But it's unclear whether those regulations for the next iteration of healthcare reform will come down in time, leaving insurers unable to make plans. There's little sign from Congress that it is anywhere near deciding on a single comprehensive and cohesive ACA repeal and replacement package that will also keep the individual market from collapse. Cigna is offering exchange plans in select counties in seven states this year, and plans to grow enrollment in exchange plans by 100,000 people in 2017. Cigna has lost money on the exchanges every year since it started participating in 2014, but hasn't quantified how much. The exchanges account for a very small portion of Cigna's total revenue—just 2% to 4%. 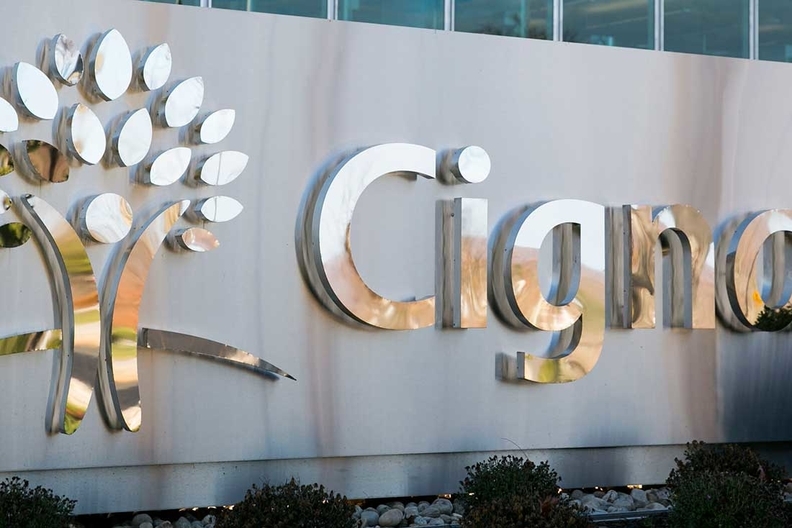 Despite lower profit, Cigna reported revenue of $9.9 billion in the fourth quarter, up 4.4% from the same time last year, as membership, premiums and fees in its commercial employer business grew slightly. Cigna added 200,000 members in that business in 2016, bringing total 2016 membership to 15.2 million. Its 2016 revenue totaled $39.7 billion, up 4.7% over 2015. Still, higher costs in Medicaid and individual plans, as well as membership losses in its government business, dented earnings. Cigna also wrote off $16 million in funding from the ACA's risk corridor program during the quarter. The temporary program was meant to compensate health plans for providing coverage to people in the uncertain individual and small-group markets, but the federal government has failed to pay most insurers their due. Cigna said it sees no sign that the government will pay up. Cigna's medical loss ratio, which shows how much of every collected premium dollar was spent on medical care and quality, was 83.1% in the fourth quarter compared with 81.4% last year at the same time. Cigna recorded an MLR of 81.6% in 2016 over 80.9% in 2015.